HALIFAX, le 29 nov. 2017 /CNW/ – Chorus Aviation Inc. (« Chorus ») (TSX: CHR) a annoncé aujourd’hui des ententes visant l’achat de deux nouveaux Q400 de Bombardier et leur location à Ethiopian Airlines Group (« Ethiopian Airlines »). Les avions neufs seront achetés à Bombardier par une filiale de Chorus Aviation Capital et devraient être livrés et loués à Ethiopian Airlines en décembre 2017. 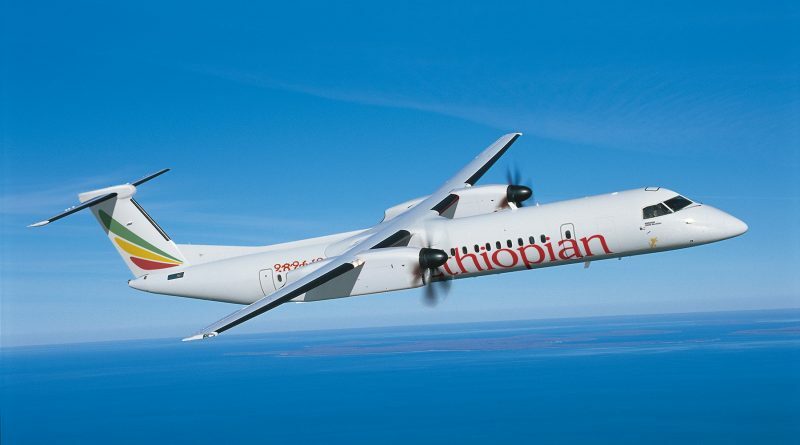 HALIFAX, Nov. 29, 2017 /CNW/ – Chorus Aviation Inc. (‘Chorus’) (TSX: CHR) announced today agreements to purchase two new Bombardier Q400 aircraft and lease them to Ethiopian Airlines Group (‘Ethiopian Airlines’). The aircraft will be purchased new from Bombardier by a subsidiary of Chorus Aviation Capital and are expected to be delivered and placed on lease to Ethiopian Airlines in December 2017. « Ethiopian Airlines is a premier, award-winning international airline with a terrific history of innovation, growth and economic success. We are absolutely delighted to welcome them as a customer of Chorus Aviation Capital and look forward to building this important relationship, » commented Steve Ridolfi, President Chorus Aviation Capital. « Ethiopian is one of the largest and most profitable airlines in Africa, a member of the Star Alliance airline network, and the winner of numerous awards for airline management and customer service. We are honoured to add them to our growing portfolio of regional aircraft lessees and very pleased to extend our global reach to our sixth continent: Africa, » he added.